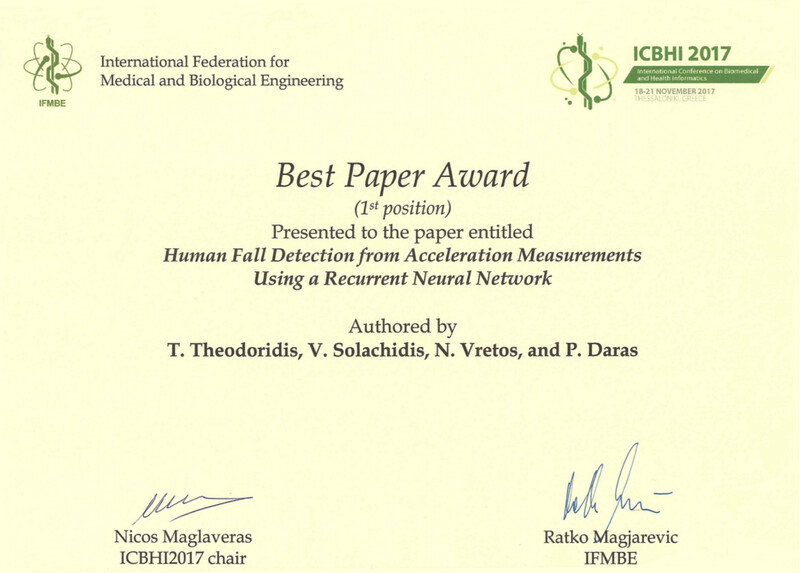 This work presented a fall detection method based on Recurrent Neural Networks. It leverages the ability of recurrent networks to process sequential data, such as acceleration measurements from body-worn devices, as well as data augmentation in the form of random rotations of the input acceleration signal. Τhe proposed method was able to find all but one fall event, while at the same time producing no false alarms when tested on the publicly available URFD dataset.